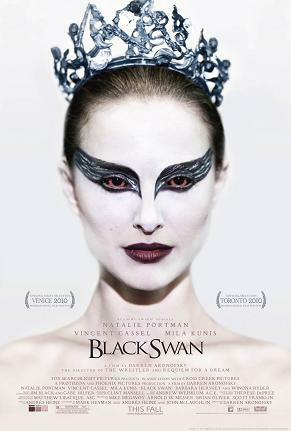 I know the ballet world wasn’t particularly fond of the movie Black Swan. From American Ballet Theatre’s Sarah Lane not being credited as Natalie Portman’s body double, to the implication ballet dancers are self possessed, anorexic freaks, the complaints were loud and clear. Top that off with the fact that it takes a lifetime to train to be a professional ballerina (not the one year producer’s implied it took Portman) and dancers were, for the most part, upset. And that’s understandable. Besides, I LIKE Natalie Portman. I’ve always enjoyed her films (from Garden State to Cold Mountain) and was delighted when she won the Oscar for Best Actress in Black Swan last February. I thought she did a great job portraying a ballerina similar in personality to Odette, the White Swan, who slowly loses her mind as she becomes more and more like Odile, the Black Swan. 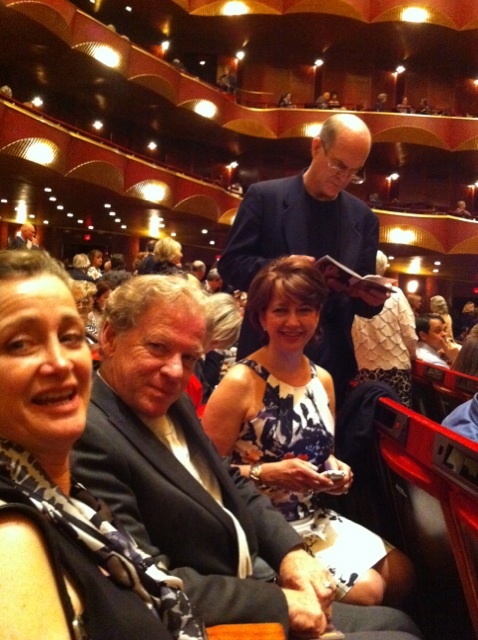 That being said, let me zoom back to a great night at The Metropolitan Opera House last May, when I attended opening night of ABT’s mixed repertory program with members of the Antony Tudor Ballet Trust. The evening included two premieres – Alexei Ratmansky’s Dumbarton and Christopher Weeldon’s Thirteen Diversions, plus a performance of Benjamin Millepied‘s Troika and a revival of Antony Tudor’s Shadowplay. The audience was filled with ballet luminaries such as Peter Martins, Ballet Master in Chief of New York City Ballet his wife, prima ballerina Darcy Kistler; Anna Kisselgoff, former chief dance critic of The New York Times; philanthropist and former dancer Nancy Zeckendorf; Amanda McKerrow and her husband John Gardner, both former ABT principal dancers and now Tudor Trust répétiteurs; and, of course, Benjamin Millepied and his very pregnant significant other, Natalie Portman! Ok, I’m star stuck! I’m a fan. Natalie’s big time – an Oscar winner and girlfriend of one really cool choreographer… how could I not be excited when I went to the rest room at intermission and came face to face with the Black Swan herself! Very pregnant and very gorgeous, there she was, waiting in line next to me, and then the two of us were there, alone together, at the sink! My mind was racing. Should I say something? A hello? Make a comment? Introduce myself as a member of the Trust? Say something pedestrian like, “I love your work,” or, “Congratulations on your Oscar?” Or how about, “Good luck with the baby?” Instead I just stood there and looked at her. Then she looked at me, and I looked at her again. She glanced at me once more, because I looked twice. And I didn’t say anything. Not a word.